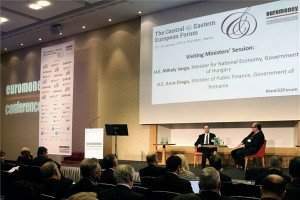 Budapest, November 15 (MTI) – Output of Hungary’s construction industry fell by an annual 13.2 percent in September, the Central Statistical Office (KSH) said on Tuesday. The decline, ongoing every month since January, accelerated from a high base after slowing in August. 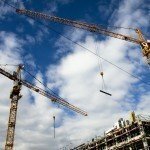 In January-September, construction output dropped by an annual 20.7 percent. In a month-on-month comparison, construction sector output rose 1.7 percent, adjusted for seasonal and working-day effects. In absolute terms, output of the construction sector came to 207.3 billion forints (EUR 669m) at current prices in September. Producer prices in the construction sector rose by 0.6 percent quarter-on-quarter in Q3, KSH said. Prices in the building segment were up 4.5 percent. ING Bank chief analyst Peter Virovacz said the month-on-month data suggest the construction industry is “climbing out of the hole”, in spite of the year-on-year decline. The impact of the government’s expanded home purchase subsidy programme and home construction VAT rate cut is starting to show, he added. He expected an upturn in the sector next year when a number of big industrial developments are planned, such as expansions at the local bases of Audi and Daimler. 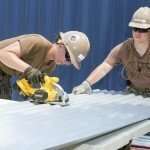 A question remains as to whether the sector can deal with the shortage of skilled labour, he added. László Balogh, a market expert at real estate broker ingatlan.com, blamed the September drop on the high base, adding that the stock of orders in the buildings segment pointed to a recovery sooner or later.